CBC Toronto and all its local shows came together to ask listeners and viewers across the GTA to nominate the individuals and groups that are making their communities better. Here's the second worthy winner. The public voted to nominate the individuals and groups that are making their communities better. 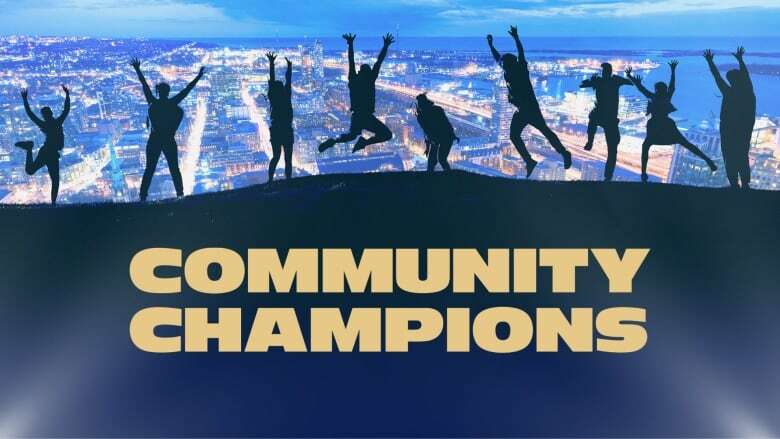 CBC Toronto and all its local shows came together to ask listeners and viewers across the GTA to nominate the individuals and groups that are making their communities better. Close to 150 entries were received that highlighted some of the amazing work that continues to drive communities forward. A panel of judges representing our broadcast shows, CBC Toronto News at Six, Our Toronto, Metro Morning and Here & Now had the challenging task of narrowing it down to only ten finalists. North Etobicoke native Chris Campbell created Motion Basketball Association, a not-for-profit aimed at providing young men and women access to house league and instructional basketball programs. Along with life skills, academics and personal coaching on and off the court, youth are provided with a safe, positive and fun environment. Campbell and his volunteers, educators, executives, coaching staff and community partners have helped grow the program from one team in 2008 to a 30-plus club with affiliate teams. Kathy Kwan, a mother whose two children were coached by Campbell, nominated him. She describes the basketball club where he works as, "Neither flashy or loud about what it does or their many successes. Chris's work is about providing the community with a safe and accessible club where youth can play basketball." 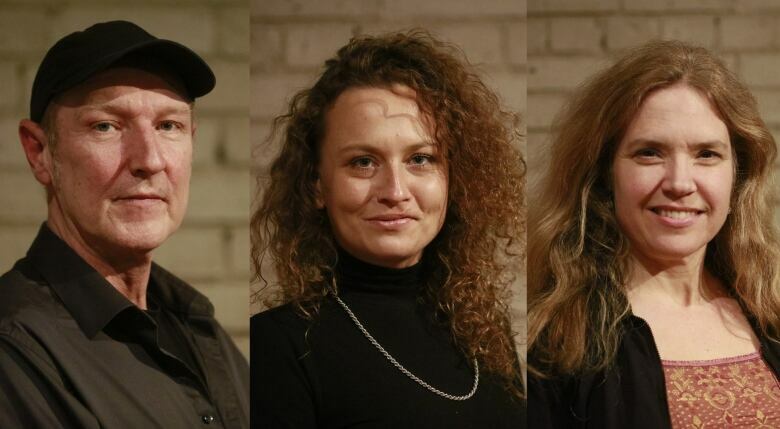 The Acorn Arts Project was created as a free, inclusive visual arts program for the residents of 220 Oak Street in Regent Park by Bruce Brown, Naomi Chorney and Masha Gruntovskaya. The goal? To foster a better sense of community in an area long defined by conflict — the building was once identified as high risk for 911 calls and violence. Today, thanks to the repurposing of an underutilized space, every week residents, many living on disability or pension, gather and create art. A growing hub of activity, participants' work is now being displayed at local art shows and provides some with an opportunity to generate new income. Pat Melncik, a community support worker for COTA Health nominated the group behind the arts centre, describing the project as transformative. "I know in my heart that this project can inspire others to do more of the same. I also feel that projects like this one will not survive in isolation. They need to be connecting with others of like mind and spirit, sharing resources, ideas, inspiration, struggles and stories," Melncik said. Paul Zurbrigg has been a long-standing volunteer at Matthew House, a refugee shelter that offers unaccompanied minors a home-like environment instead of a homeless shelter. Paul has acted as a house parent to the newly-arrived youth at Matthew House. Beyond guidance and friendship, Paul has gone above and beyond, from giving driving lessons, help with homework to helping these newly arrived individuals move into their very own apartments. Nominated by Anne Woolger, Founding Director of Matthew House, she has said that, "Paul models what a Good Samaritan would be like in modern day society. His attitude toward refugee claimants, a group who are often the scapegoat of social and political rhetoric, is one of welcome and acceptance. His love and support for them has had a deep impact on those refugees who have had the privilege of knowing him. If everyone modeled Paul, our city, our nation, and our world would be a better place." Inspired by a Region of Peel report revealing the statistics of people living in poverty, particularly seniors and those with disabilities, brother and sister team Vishal Khanna and Subhra Mukherjee created the Sai Dham Food Bank. The fully volunteer run initiative of Sai Dham Canada, a not for profit, provides both regular food delivery and 24/7 one-time emergency food assistance to the most vulnerable groups who cannot easily access food banks, primarily seniors and those with disabilities. Sai Dham Food Bank also provides aid to communities facing adverse situations such as the victims of the Brant County fire, or bringing food to support local community events. Vishwa Shukla, a family friend of Mukherjee who nominated Sai Dham, describes the group as: "Dedicated volunteers with the firm belief that no one should go hungry. Sai Dham Food Bank provides food to the needy, a noble deed worth recognizing." Danielle Strnad, theatre artist and arts educator, founded DramaWay, a creative-arts program with a uniquely compassionate approach to educational arts programming. Focusing on individuals with special needs including autism, Down Syndrome and anxiety among others, what began as a modest five participant program now spans 14 programs across the GTA touching on aspects of the fine arts from theatre, film, dance, visual arts, singing and the drama-based life skills programs. Strnad was nominated by Dorlean Lieghfars-Rotolo, who spoke about the powerful effect of having her daughter go through one of DramaWay's programs. "Our daughter has gained so much confidence and has become a spokesperson for people born with Down Syndrome. Danielle and her team of caring and loving specialists have helped many to have a voice and a stage when many others would not believe in them," Lieghfars-Rotolo said.